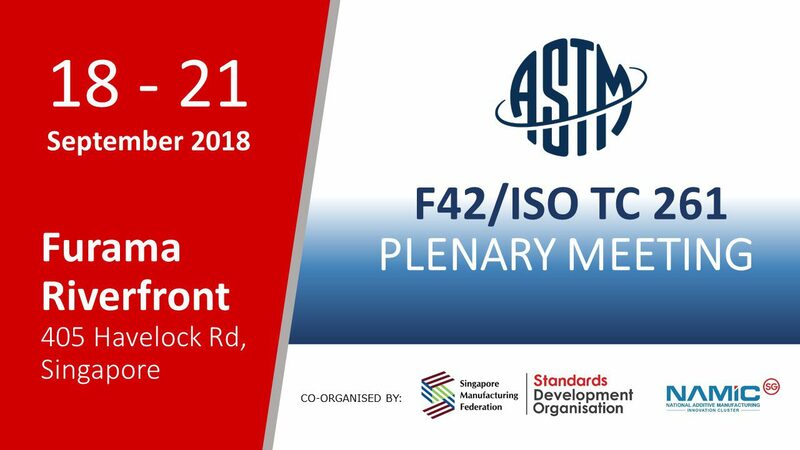 The F42/ISO TC 261 Plenary Meeting will be held from 18 to 21 September at the Furama RiverFront Hotel. Appended below are the links to access the registration page and plenary meeting schedule. CUT-OFF FOR PRE-REGISTRATION: 7 September 2018.